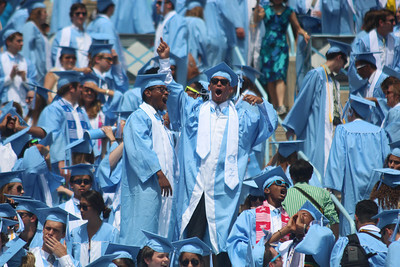 Graduation hosted 33,000 people on Sunday afternoon in order to honor degree earning students of the University of North Carolina at Chapel Hill. 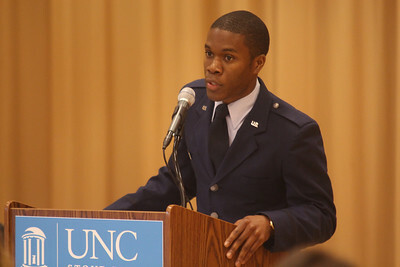 Cadet Micah Paulson gave the opening remarks at the inaugural military graduation. 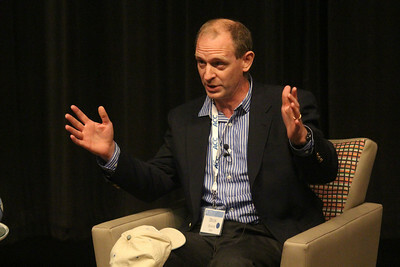 Dean Oliver spoke Friday night at the Kenan-Flagler Business School for a basketball analytics summit. 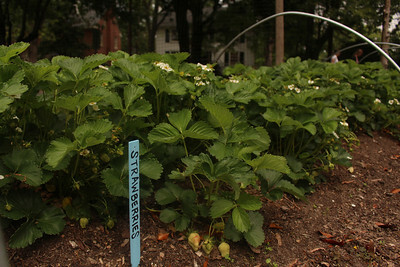 Carolina Campus Community Gardens is one of several gardens being featured in this years Chapel Hill Garden Tour. 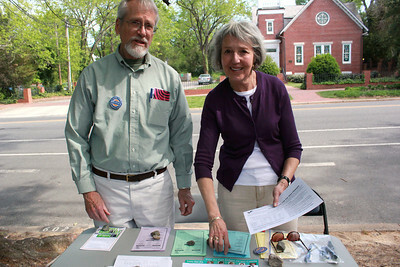 Pete and Toby Beckman were stationed outside early voting at NC Hillel Thursday afternoon, both actively handing out voting information and forms. 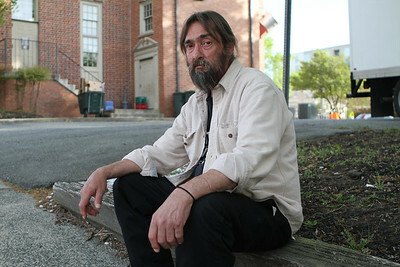 A retired political science professor, Pete commented that students "decide their future, if they want to be a part of it they have to show up." United Students Against Sweatshops (USAS) protested for Bangladeshi workers' rights in front of and inside the South Building. 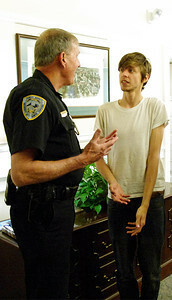 Some students occupied Chancellor Folt's office before being removed by the police. Joy Renner, chairwoman of the Faculty Athletics Committee, led an open forum Wednesday to provide an opportunity for UNC faculty and staff members to express their concerns and ask questions. People rally outside of Saunders Hall Wednesday afternoon. The Real Silent Sam Coalition is calling for the Board of Trustees to rename the building, because its namesake, William L. Saunders, directed North Carolina KKK activities in the late 1860s. 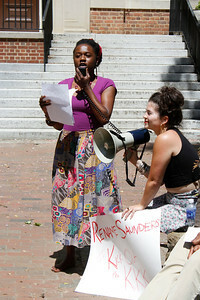 Taylor Webber-Fields and Blanche Brown speak at a rally Wednesday afternoon. 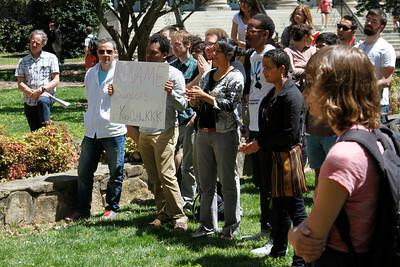 People rally outside of Saunders Hall Wednesday afternoon. The Real Silent Sam Coalition is calling for the Board of Trustees to rename the building, because its namesake, William L. Saunders, directed North Carolina KKK activities in the late 1860s. 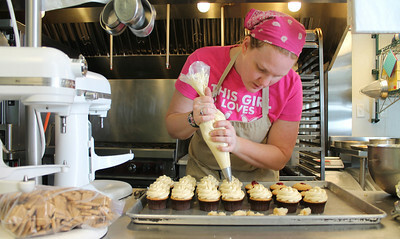 Bernadette Haubert is one of the pastry chefs at Sugarland. 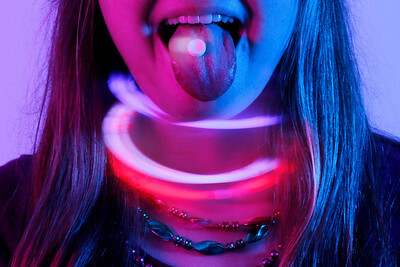 "This is the only thing I've ever wanted to do." 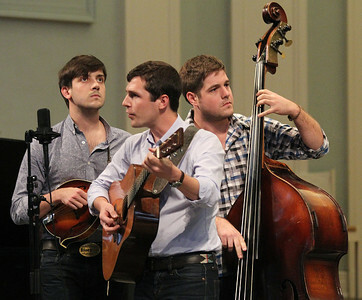 She studied at the Culinary Institute of America in New York and came to Chapel Hill immediately after. Sugarland is in the midst of its busy season. 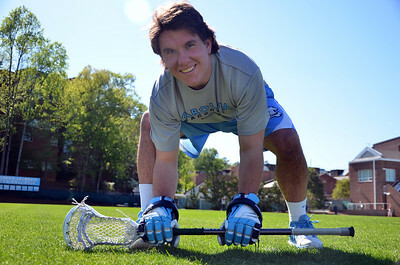 "We'll have about 5-7 weddings per weekend (to bake for) until June." According to Haubert, December and January are the slowest months. 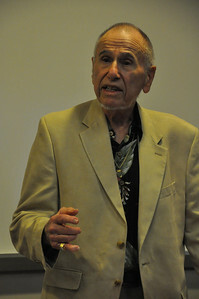 Judge Stuart Namm, author of "A Whistleblower' s Lament", came to speak at the UNC School of Government on Wednesday afternoon. 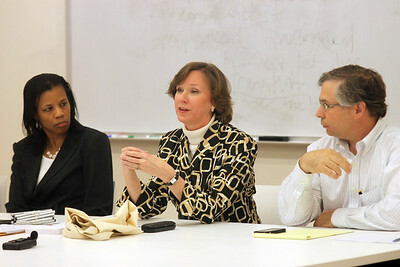 Namm attended law school in Brooklyn and discussed the politics and issues with justice in the New York legal system. 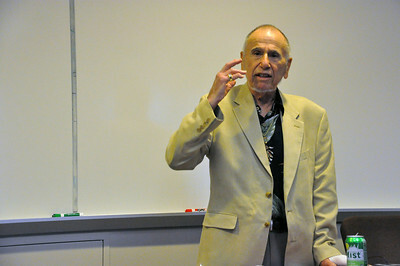 Judge Stuart Namm, author of "A Whistleblower' s Lament," speaks at the UNC School of Government on Wednesday afternoon. Namm discussed issues with justice in the New York legal system. 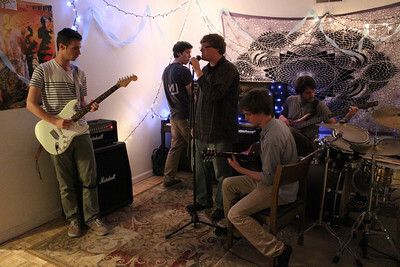 UNC Students Justin Bucher, Nick Peterson, Quinton Grady, Alex Joiner and Jorge Martinez-Blat (left to right) are members of the band Sky Cloud. The General Alumni Association hosted the annual Senior Belltower Climb on Tuesday. 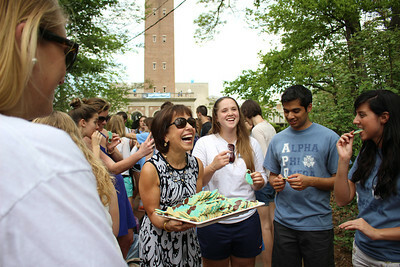 Chancellor Folt stopped by to hand out cookies to those waiting in line and do the climb as well. 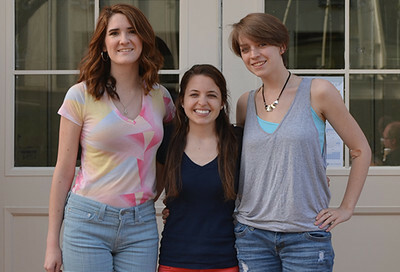 Alexandria Huber (left), Jessie Robinson (center), and Jillian Tillett (right) are student interns working with Carolina Dining Services. They work to calculate the percentage of real food that Carolina Dining Services purchases and distributes in the UNC campus dining facilities. This internship was created four years ago, and this is the first time the calculations will be done for the spring semester. 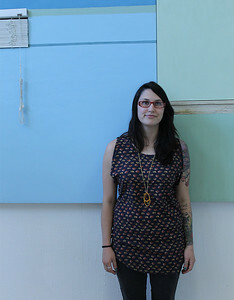 Allison Tierney, a Master of Fine Arts graduate student, uses recycled material in her work. Supporters bid on silent-auction items while waiting for a fashion show featuring designer Roxi Suger's Angelrox collection Thursday evening at City Kitchen. 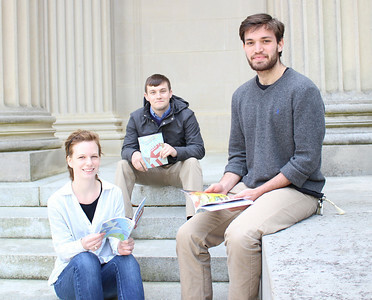 All of the funds went to Cornucopia Cancer Support Center and The Peru Project founded by Kyla McConnell, a senior Spanish and German double major. 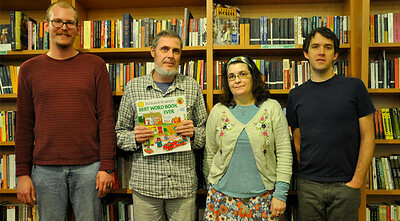 Authors Jenny Han and Sarah Dessen will speak at Flyleaf Books Thursdsay night. Han will discuss her new YA novel "To All the Boys I've Loved Before," and Dessen will discuss her eleventh novel, "The Moon and More." 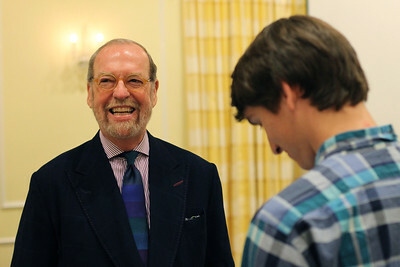 Alexander Julian shared insight into professional attire at "Student to Professional," an event hosted by UNC Career Services on Wednesday. 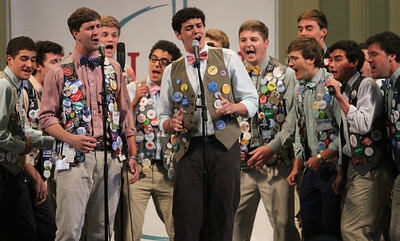 "The better you dress, the better you will perform," he said. 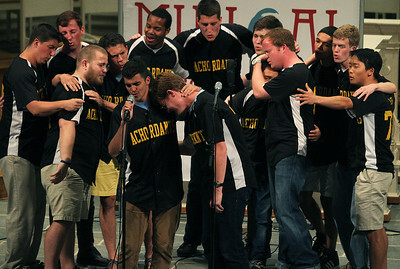 The Achordants perform "Story of My Life" by One Direction at Musical Empowerment's 2nd Annual Benefit Concert at University United Methodist Church on Tuesday. 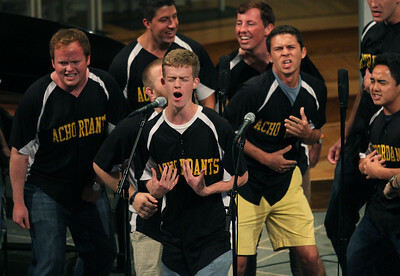 The Achordants perform at Musical Empowerment's 2nd Annual Benefit Concert at University United Methodist Church on Tuesday. 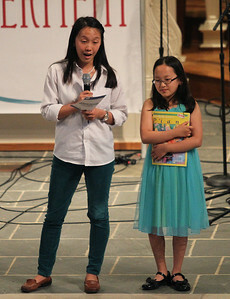 Musical Empowerment teacher Sarah Chen, left, introduces her student Minseo. Minseo, 10, performed "Cruella de Vil" on the piano. 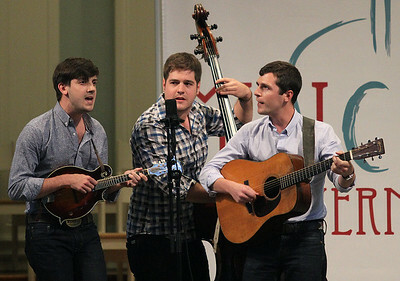 Musical Empowerment held its 2nd Annual Benefit Concert at University United Methodist Church on Tuesday. 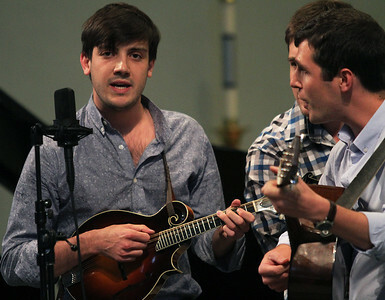 The Clef Hangers, Mipso, the Achordants, and Joe Kwon, Scott Avett, Seth Avett, Paul Defiglia and Tania Elizabeth of The Avett Brothers performed to raise money for Musical Empowerment. 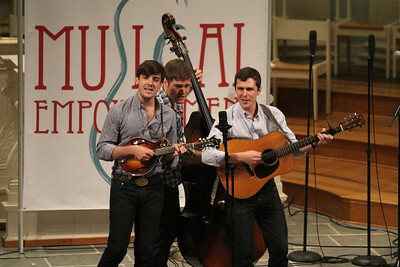 Mipso performs at Musical Empowerment's 2nd Annual Benefit Concert at University United Methodist Church on Tuesday. 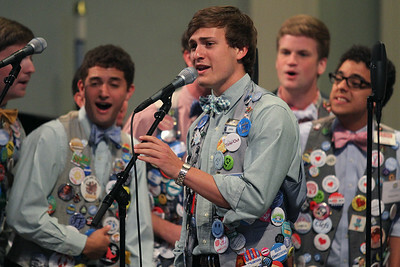 Joseph Terrell performs with Mipso at Musical Empowerment's 2nd Annual Benefit Concert at University United Methodist Church on Tuesday. 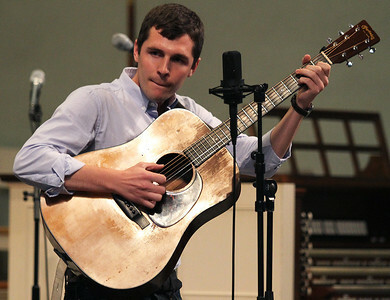 Jacob Sharp performs Mipso at Musical Empowerment's 2nd Annual Benefit Concert at University United Methodist Church on Tuesday. 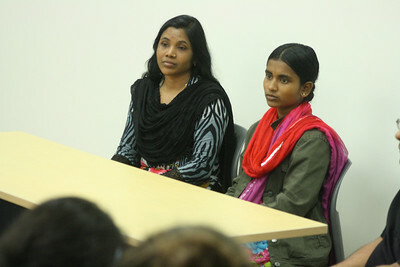 The Student Action with workers invited two Bangladeshi workers to speak in the Union. These two have traveled across the country to at least 18 different schools in order to advocate the end of harmful environments for workers in factories. Aleya Akter (left) and Aklima Khanam (right) along with their translator. 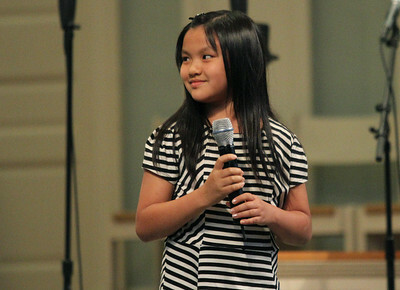 Melodie smiles as the crowd applauds after she performed "Let It Go" at the concert. 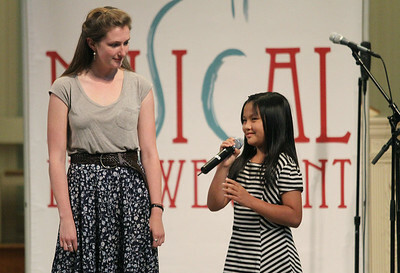 Musical Empowerment teacher Katie Morris, left, introduces her student, Melodie, to the audience. Two Musical Empowerment student performed at the concert. 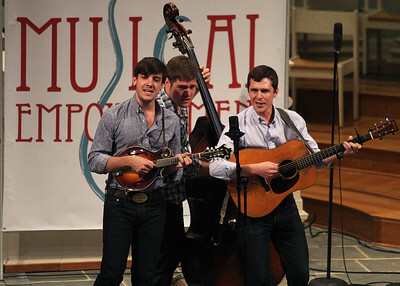 The Clef Hangers perform at Musical Empowerment's 2nd Annual Benefit Concert at University United Methodist Church on Tuesday. 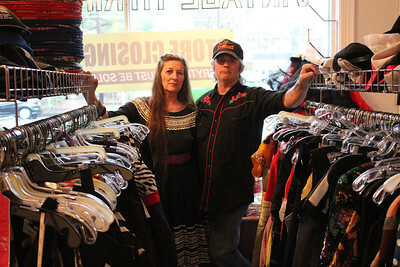 Ann Jackson (left) and Steven Schrenzel, owners of the vintage thrift shop Time after Time, locked the doors to the store for the last time Tuesday. Grace Farson, a junior communications media production and food studies double major, teaches a yoga class at Rams Head Gym on Tuesday Morning. 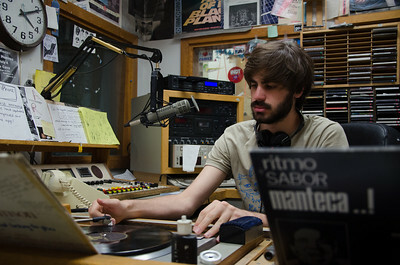 "I've been teaching since 2010, but I just started teaching at Rams this semester. 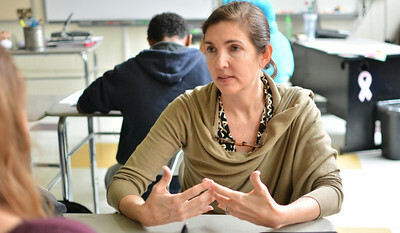 I haven't been teaching because I was focusing on school, but it feels so good to be teaching again." Bill Currens, along with other panelists discuss energy trends, risks, and opportunities that could affect the university in the future. 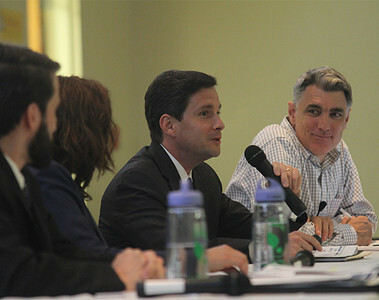 The event titled "The Future of Energy and Energy Investing" took place in Carroll Hall on Monday. 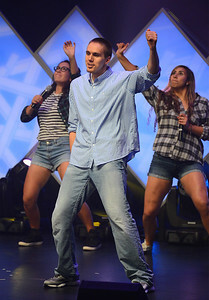 Jackson Simmons does the Nae Nae on stage at the 2014 Rammy's. The Student Advisory Committee to the Chancellor sponsored an open house on Monday, April 14, 2014. 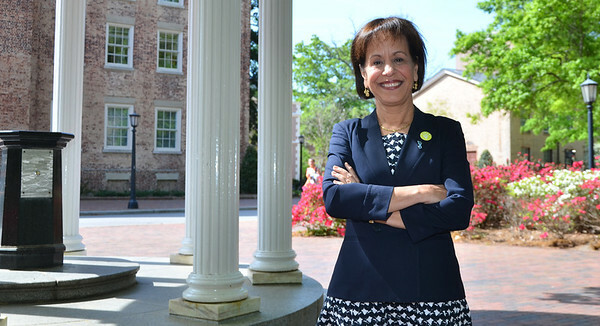 UNC students had the opportunity to talk with Chancellor Carol Folt and Athletic Director, Bubba Cunningham, about recent events such as the Carolina Commitment webpage, Chacellor Folt's opinion on water, and Cunningham's role in Tar Heel athletics. 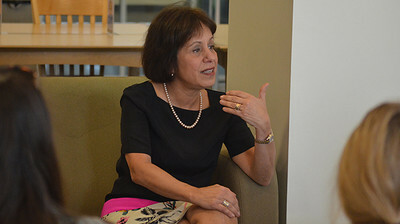 For the first part of the open house, the students were divided into small groups with Chancellor Folt and Cunningham to formulate questions that would be answered later, in a larger group discussion.